Well, not true on several fronts. 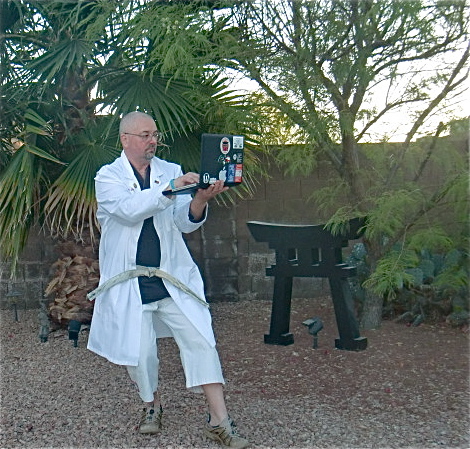 Third, what you learned is merely a physical application of kata sequences. You have not investigated my remaining two aspects of kata (and by extension, kata bunkai). 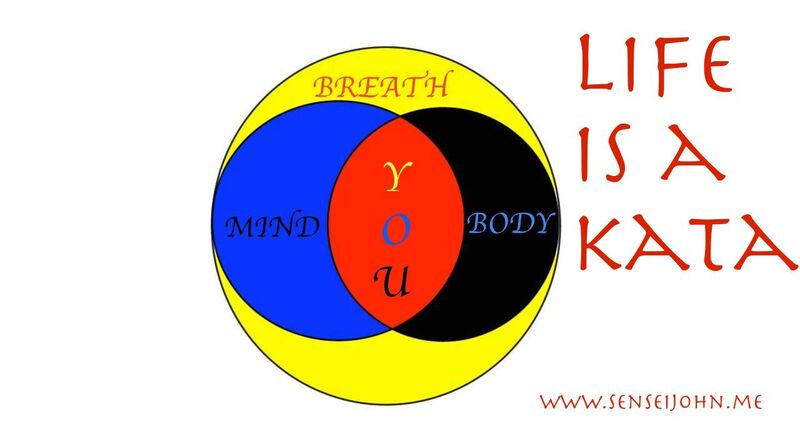 Namely, the spiritual aspect (the manner in which the kata affects your state-of-mind, emotional state and psyche and vice-versa) and the environmental aspect (the manner in which your surroundings affect the kata and vice-versa). The second point self-explanatory and the third is answered by my entire 200 plus page Kata Lab project. So, lets look at the first point. 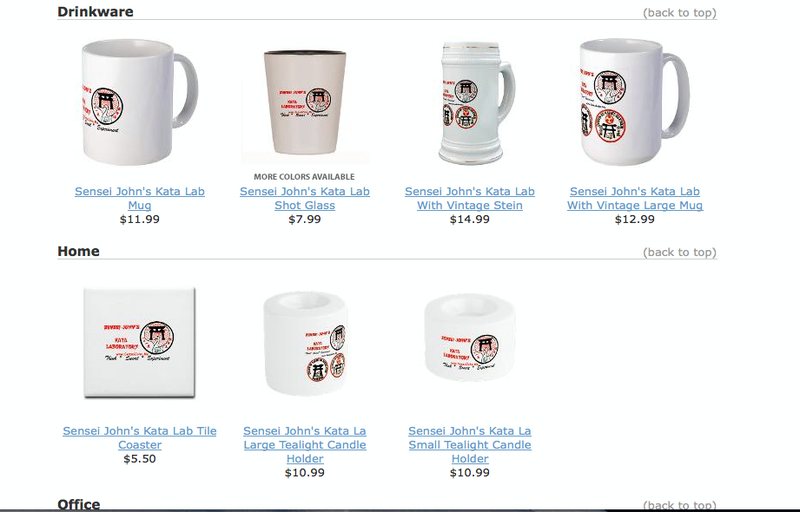 To aid my answer, I would like to once again “invite” the eminent physicist Dr. Richard Feynman into my Kata Lab. (See Endnote # 1). An experiment that confirms your theory does not prove that it is right, only that it is simply not proved wrong. It can never be proved right. Because in the future there could be a wider range of experiments that proves your theory wrong. * So, we are never sure we are right. We can only ever be sure we are not wrong. * (reference was made to Newton’s law of planetary motion which was accepted correct until 100 years later when the planet Mercury’s motion proved it wrong). So, for your seminar fee, what exactly did you get in terms of bunkai (analysis of kata)? You received something (see point two) that is not only inconclusive (see point three), but also, temporary, momentary and subject to change. Dr. Feynman would say you were shown an application that, for now, is “not wrong”. The application you were shown is based upon the Master’s understanding of the kata sequences. This understanding factors in his or her physical limitations and abilities. Your use of the application is affected by your own physical capabilities and skills (which differ from those of the Master). Based upon your own individual characteristics the Master’s application may be utterly useless to you. Unless, of course, you, “Just keep practicing, one day you’ll get it right.” Even if you are able to perform the application, as your physical health changes your ability to perform that application will change. Thus what you learned as, ahem, “bunkai” needs to be revisited. If you do not revisit the application and make necessary adjustments, including finding an entirely new application, you will reach a point of stagnation. “I could perform this application in my younger days, or when my knees weren’t so bad.” Such statements are ridiculous. 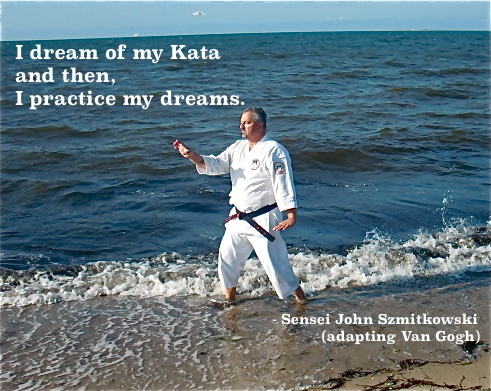 Kata is not meant to be stagnant. It is meant to be fluid. 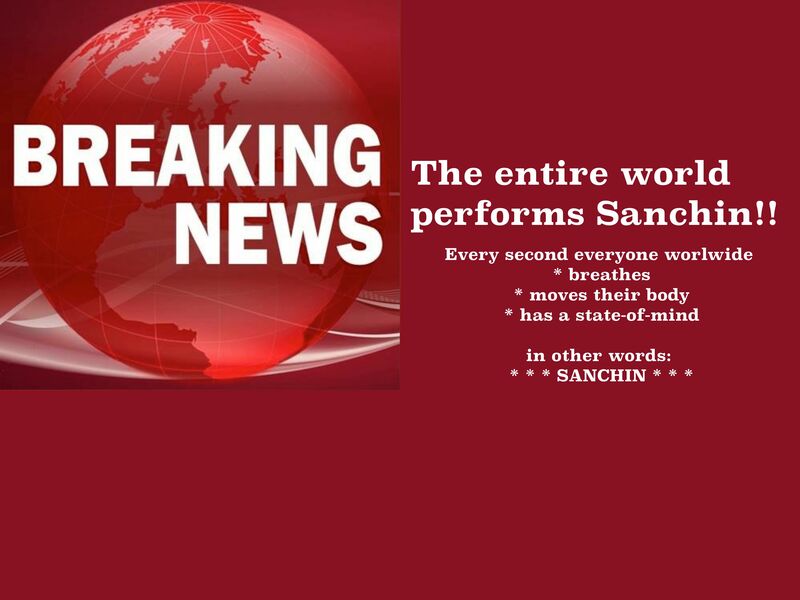 It changes according to the performer. An analogy is the “Clay in the mold” interpretation of kata. Kata is the mold which will form you, the clay. As each lump of clay is different and will change over time, the mold (kata) will affect each lump differently. As to bunkai (analysis of kata), I submit that Dr, Feynman’s observation be modified as follows. A bunkai (analysis) that confirms your understanding (of kata) does not prove that it is right, only that it is simply not proved wrong. It can never be proved right. Because in the future there could be a wider range of bunkai that proves your understanding incomplete. So, we are never sure that our bunkai is right. We can only ever be sure we are not wrong. (Sensei John Szmitkowski modifying Dr. Richard Feynman). Thus, there are no absolutes in kata bunkai (analysis). Any analysis is merely temporary. It is subject to the changing dynamics and needs of the individual practitioner. Your changing health, age and capabilities all affect your analysis. 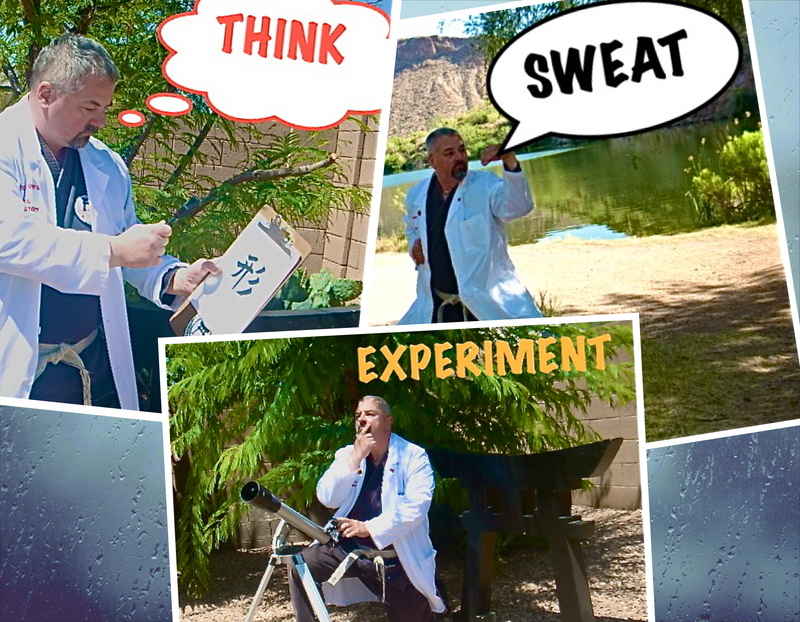 Your non-physical characteristics may have a more profound impact on your kata analysis. Your mental state, emotions and psyche play a major role in how you analyze your kata. (See Endnote # 2) Further, there is a greatly overlooked and often entirely missed factor that contributes to your analysis. This factor is the manner in which the environment affects your kata. The impact of terrain, weather, temperature and other such environmental factors cannot be discounted. 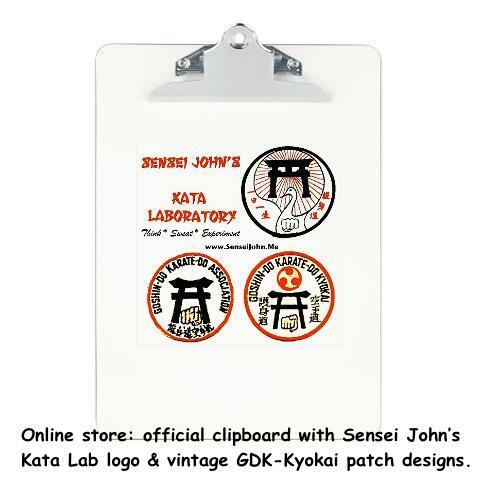 Help support Sensei’s experiments – Come visit my store on CafePress! all items have a minimal mark-up of only $ 0.75 to $ 1.00 over base prices! This Kata Lab will help you practice and explore the benefits of non-traditional kiai. Within the martial arts, there are three reasons to kiai. They are, to scare your opponent, to boost your confidence and to provide or add to the strength of your technique. In my opinion, there is another aspect of kiai. That aspect is to to alert others to your predicament. In Karate, very often the sound one produces with a kiai is akin to “ai-ya.” I have students modify this. When I teach children karate, I teach them to kiai the word “help”. Similarly, I teach female students to kiai the word “fire.” Why? Again, the word itself has no effect on the kiai so use the word to your advantage. Most people that hear a child yell for help will look in that direction and offer assistance. However, help yelled from an adult may not elicit the same response, rather people may actually look away. Thus, the kiai of “fire”; everyone looks to see where the fire is. Another example comes from my background as a criminal defense attorney (now retired). I tell students to consider another non-traditional kiai – the phrase “stop hitting me” as you defend yourself. In the event of police reports or legal action, witnesses may not recall the exact circumstances of the encounter, but they may recall that you had said you were being hit and asked for it to stop. Select a non-traditional, individual kiai to explore. The kiai maybe the word “help” or “fire” or “stop hitting me” as in the above narrative. Practice your kata and where a kiai is specified in the kata, use your non-traditional kiai. You may also use your non-traditional kiai in kumite , self-defense and other Dojo practice. Practicing a non-traditional kiai within your kata, sets the stage for you to actually use the kiai when and if you are required to spontaneously defend yourself in the street.